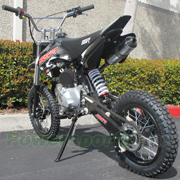 Check out all of the SSR SR125AUTO 125cc Automatic Pit Bike Specs Below! 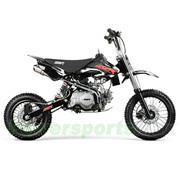 SSR PIT BIKE 125cc Automatic SR125 Electric Start is now available. New Upgraded front and rear Semi-Pro Hub! 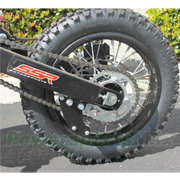 14" Big Front Wheel, 44" Wheel base. 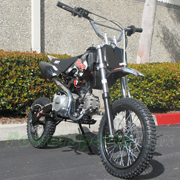 Higher and Longer, Fits for Adults and Big Boys! 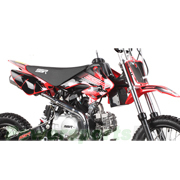 Engine: 125cc 4 Stroke, Single Cylinder, Air Cooled Engine! Transmission: Automatic Transmission, Extremely easy for beginners to get start! Electric start, convenient and easy to handle! 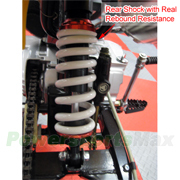 Heavy Duty Big Fully Adjustable Rear Shock, Super Strong! 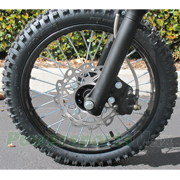 Wheel: 2.75-14 Front and 3.0 - 12 Rear Fat Tire, More Traction! 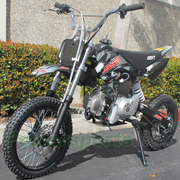 SSR SR125AUTO is the best dirt bike you could get in the market for less than $1000. This bike was designed by experts and used by beginners. 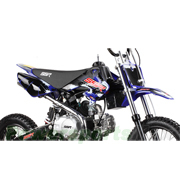 Our 125cc dirt bikes are the ultimate in competition racing bikes that have a high performance 125cc 4-stroke engine with electric start. These engines are built based on Honda Technology. 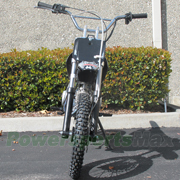 Frame, front fork, suspensions and tires are special designed and tested. 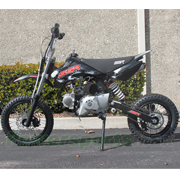 You will have smooth and comfort ride experience with our balanced bikes! 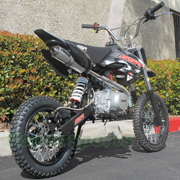 SSR SR125AUTO is the ultimate dirt bike in its class! Your Expert Choice!The engineer went on to the suspension and brakes. 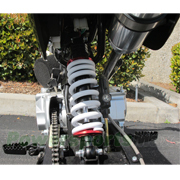 Both the front and rear suspension has been upgraded. 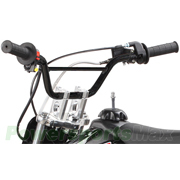 The front has long travel adjustable forks. 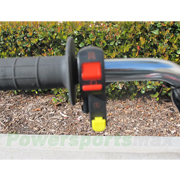 The rear suspension is a Adjustable, Long Travel Shocks. 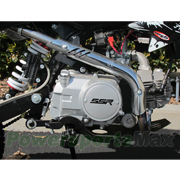 The huge and super strong shock will make Big jumps a breeze. 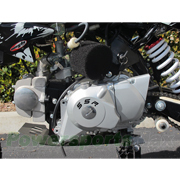 As any rider would tell you, power is nothing without good brakes. 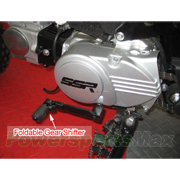 The SSR SR125AUTO again comes with class leading front and rear hydraulic disc brake. 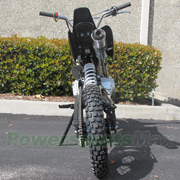 PowerSports Distro is fantastic!! Thank you so much!! We will definitely be ordering from you guys again in the future. 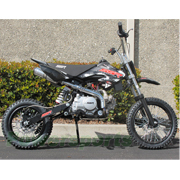 Awesome bike with plenty of power & speed..
My son was so excited when his Pit Bike arrived, it runs perfect, & looks so nice.. Excellent bike that arrived in perfect condition. Would've given five stars but it shipped about a week later than told. However, it did arrive before Christmas!!! Much less expensive than local dealers here in eastern Kentucky. Was great experience buying with this company I would recommend them to anyone. Very nice and honest in their dealings plan on buying again soon!